Do you know someone who is walking that Body Kindness® talk? Nominate them for a kudos from me and you’ll both “spiral up” with joy. I’m not necessarily looking for the stories with the longest list of accomplishments because even small achievements are worth celebrating. It’s really not about the destination. The happiest people are finding joy in the ride. All you need to do is send an email to info@bodykindnessbook.com with BK Kudos in the subject line. Tell us the story of why you think this person is the greatest thing since sliced bread. (I bet just writing this e-mail makes you all warm and fuzzy – yay upward spirals). Please include the person’s email address. We will review and let them know they have been nominated and we’ll take it from there. If the nominee accepts, the plan is to share all this goodness with the world – on social media and this website for starters. This recognition will help even more people than you could anticipate because you never know who takes in these positive messages. The kudos recipient will receive a “thanks for being awesome” gift. 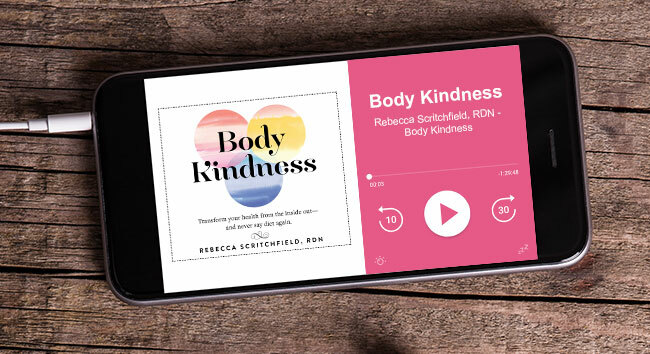 Gift options could be anything from a surprise-filled “goodie bag” in the mail, to a signed copy of Body Kindness, to free web-based coaching, to a discount or free spot in an upcoming Body Kindness® class. Do this because you want to spread kindness and positivity out there in the world. Do this because you want to shine someone’s light who doesn’t always give themselves they credit they deserve. Do this because it’s fun and meaningful. I can’t wait to see what you send!